A study day organized to recognize the wild herbs around the thousand-year-old olive groves managed with biological methods and registered according to the L.R 14/2007 about the safeguard of the landscape of the secular olive trees of Apulia. The Park of Costal Dunes and Masseria “Il frantoio” organize an excursion through the fields of the thousand-year-old olive groves of the Masseria “il Frantoio”, managed with biological methods in order to discover the varieties of wild herbs which nature can give us. The event, now at the 9th edition, has been organized in collaboration with the center of the environmental education “Il Ginepro”, the association “Passo di Terra” and the publishing house “Stilo”. Learn to know the spontaneous edible flora and the best ways to use it. Stories, curiosities, nutritional properties and popular traditions of the main wild edible plants will be told by experts and passionate connoisseurs of wild herbs like Abele Lomascolo and the agronomist Felice Suma, the author of the Park’s notebook “La Bontà delle Malerbe” published by the “Stilo publishing house”. At the end of the walk it will be possible to have lunch at the same Farm with a menu based on biological products, wild herbs and flowers, a good Apulian wine and homemade liquors. “Il Frantoio” is a Park Brand farm certificated with the European Charter for the sustainable Tourism CETS. The excursion for the acknowledgement of the wild herbs is free. The reservation is necessary. Guided Tour into the Natural Park of Costal Dunes, to discorver its landscapes and ecosystems, from the sea to the wetland. We will start from the S. Leonardo costal tower, full of charm and history, directed to the nord, walking on the seaside. An astonishing view of the lighthouse of Torre Canne will indicate the northern bound of the Costal Dunes Park. On the right side the sea, with its winter clours; on the left side, the dunes with sand and centuries-old junipers, myrtles, mastic trees and sand lilies. Outside the costal dunes there will be the wetland of Morelli River, another important habitat and one of the longest river of Salento. We will explore the peschiera and know the the traditional fishing practice of golden mullet and eels. Along the seaside, we will discover a large number of trails left by sea’s inhabitants: cuttlebones, shark eggs (or egg cases), posidonia oceanica, algae with various and picturesques forms. And then the black sand...we will learn its origin. This appointment is included into a large number of activities shared between the Natural Park of Costal Dunes and Cooperativa Serapia, an enterprise which signed the European Chartes Of Sustainable Tourism. 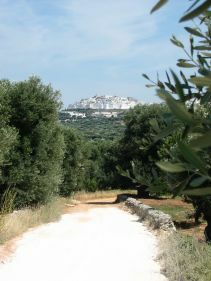 Meeting Sunday 28th Jenuary, at 9.30 a.m., at the Camping ‘Il Pilone’, (N 40°48,197´ - E 17°32,337´), Ostuni (BR). The low difficulty 5 km walk, will end at 1 pm. Trekking sneakers and comfortable clothes are suggested. Reservation is recommended calling the number 347 0081412 (Francesco)or e-mailing to info@cooperativaserapia.it. 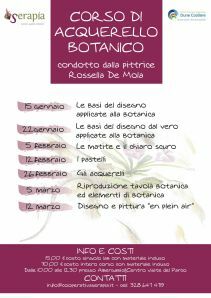 “Botanic watercolour course” is the title of naturalistic drawing and painting course that will begin next January, 15th at Albergabici in Montalbano (Fasano). The Coop. Serapia, in collaboration with the Naural Park of Costal Dunes, arranged with great enthusiasm a drawing course to know and learn the varius shades of the nature, in a different and artistic way. The watercolur course will be held by the famous painter Rossella De Mola, from Fasano, who will be always supported by a naturalistic guide of Coop. Serapia team. Nature and art lessons, in fact, will be addressed to people of different age and with any different backgrond, which want to learn drawing and painting elements linked to the knowledge of Park’s biodiversity. There will be seven meetings, with duration of two hours and half, organized in short theoretical analysis and practice exercises. Moreover, there will be shown the most important drawing and painting techniques, in ascending difficulty. The course finishes with a certificate of attendance. The seven meetings will take place every sunday morings, starting from the next 15th of January, to the 12th of March, from 10 a.m to 12.30 a.m. Single lesson’s price is 15€, whereas the price of the complete course is 70€, inclusive of educational material and suggestive final tour. For any further information go to website www.cooperativaserapia.it, write to info@cooperativaserapia.it or call to 3286474719 (Marialucrezia Colucci). 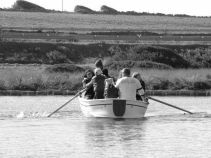 Sunday, December 11th, as every year, during the TERRA MADRE DAY will hold the guided tour of the ancient system of aquaculture of Morelli River, in the central area of the Regional Natural Park Dune Costiere ‘from Torre Canne to Torre S. Leonardo’, where today is still possible the traditional fishing practice of golden mullet and eels, to know the sustainable fishing and the authentic values of local products. This experience is really important not only to promote the knowledge of local food, but also to analyze the production of forgotten meals and their sustainable consumption methods. The CEA (Environmental Educational Center)”il Ginepro” of Ostuni - in collaboration with the Regional Natural Park Dune Costiere, the Archaeological Park of St. Maria d’Agnano and Coop. Gaia - proposes the guided tour for free. It is foundamental to share a food production well-established into local economies, which respects the environment, traditional knowledge and biodiversity and which works to create alternative production methods in order to follow the precious environmental phylosophy promoted by ‘Slow Food’ and ‘Piana degli Ulivi’. It is recommended to wear comfortable clothes and trekking shoes or similar. Meeting Sunday, December 11th at 9.30 a.m., at Lido Morelli, next to Morelli River. For more info and reservation, you can call the numbers 347 0042961/ 320 6251107. Next Thursday will begin an olive oil sensory course to introduce olive growers to the analysis of the different qualities and features of the olive oil. The educational activity is arranged by the Regional Natural Park Dune Costiere from Torre Canne to Torre San Leonardo in collaboration with the Consorzio Salentino Olivicoltori. The course will last two days, Thursday and Friday, the first two days of December, from 4 to 8 p.m. to the Istituto Tecnico Agrario ‘Pantanelli Monnet’ of Ostuni. Two experts, dr. Alfredo Marasciulo and the professor Francesco Prudentino, will support us to value the oil made by the participants, in order to make a sensory analysis (with the smell and the taste in particular) and after examine the organoleptic characteristics and the presence of potencial problems that will be resolved with a correct management of the olive grove and the different phases of the olive transformation into the olive-press. The aim of that educational activity is to improve the sustainable management of the centuries-old olive groves of the Park, which is occupied by remarkable agricultural areas, especially with ancient olive groves. According to tradition, this year too an overview of events and walks throughout the wetland of the Parco delle dune Costiere has beginning, for the purpose of promote and give value to this delicate ecosystems and allow a sustainable fruition of the natural environment, the rural landscape and the knowledge of the traditional products of the territory of the protected area. The trekking of this Sunday wants to make known and appreciate the fish species that naturally live in the pond of the wetland of ‘Fiume Morelli’ and to make you discover through the tales of the local fishermen the traditional methods of fishing. The initiative has been organised in collaboration with the Park Dune Costiere and the center of environmental education “il ginepro” in Ostuni, that is always actively involved in the promotion and the spread of the environmental education and the naturalistic fruition of the territory. The Meeting is at 9.30 at the Car Park of Lido Morelli in Ostuni. The walk is suitable to all the ages. It is suggested to wear comfortable clothes, trekking shoes or similar, cap and to bring with a little bottle of water. The reservation is necessary and places are limited and the same itinerary can be made by bike contacting the cooperative Maderabike at 327.5785185 or info@maderabike.com. With the creation of the “Fédération des Plus Beaux Villages de la Terre”, constituted by «the Most Beautiful Villages » Clubs of France, Belgium, Canada, Italy and Japan - the international network which preserves and promotes villages and small towns, so far cut out from the routes of international tourism but rich in history, architecture and art - the foundations have been laid to start the project to set up an international network of the national networks of the most beautiful villages of countries overlooking the Mediterranean Sea in which the thousand-year-old cultural heritage of Mediterranean peoples has settled. “The most beautiful Villages in Italy” Club has decided to entrust the town of Cisternino the task of coordinating the project because it is situated in the Apulia Region, which is the only Region that has officially instituted a Mediterranean authority department. The objective of the project is to promote in the Mediterranean Area the creation of networks similar to those already existing in Italy (“I Borghi più belli d’Italia”), in Spain (“Pueblos más Bonitos de España”), and in France (“Les Plus Beaux Villages de France”), so that the new national networks in countries such as Croatia, Montenegro, Albania, Malta, Greece, Turkey, Cyprus, Lebanon, Israel, Jordan, Algeria, Morocco, Syria, Tunisia, Egypt, Libya, and Palestine can become members of the Fédération des Plus Beaux Villages de la Terre. 6) Best practices exchange and problem sharing with associated villages. b. there is a special need to promote the collaboration between Northern and Southern, Eastern and Western countries overlooking the Mediterranean Sea, which, in our opinion, is of vital importance to maintaining good relationships between States and to share with poorer countries the Know-how to run autonomously the architectural, environmental and landscape heritage and the touristic potential. October 26, 2013 - 1st International Conference in Cisternino. 6 to 8 June 2014 - Working in Crete with the presence of mayors from Turkey, Palestine, Cyprus, as well as from Crete and Italy. June 25, 2014 - Signing of a memorandum of understanding agreement between the municipality of Cisternino, the Association of "The Most Beautiful Villages of Italy" and the Region of Puglia - the Mediterranean, with the aim of developing international cooperation in the cultural sector for the promotion of the territories in the countries of the Mediterranean basin. 17 October 2014 - 2nd International Conference in Cisternino with the presence of representatives from Crete, Croatia, Greece, Israel, Italy, Malta, Palestine and Turkey. 2014 - establishment of the network of "The most beautiful villages" of Palestine. 16 to 19 October 2015 – 3rd International Conference in Cisternino with the presence of representatives from Croatia, Greece, Italy, Jordan, Palestine, Slovenia and Turkey. The International Conference of Cisternino, because of its importance and relevance, in recent years has received the award of the Medal of the President of the Italian Republic, under the patronage of the Prime Minister´s Office and the Ministry of Economic Development, as well as the membership of various National and Regional organizations and represented an important step for the realization of the project, thanks to the work carried out in synergy between various and numerous institutions. · Creation of a new strategic partnership with selected international countries, regions and villages in areas of mutual interest. Also this year we decided to allow our guests to spend several opportunities for educational tours of the Apulian territory in order give them a good knowledge of some of the most characteristic villages of Puglia. Winter is coming and the little inhabitants of the gardens seek shelter in caves and crevices offered by ground, by dry-stone walls and vegetation. In order to not to make them depart much from our green island, we can build for them a "Bug Mansion"! On Sunday, October 23, The Association Polyxena and the Park Dune will wait for you at the former Fontevecchia station, to free your imagination and build with us a top luxury hotel for insects! This "hotel for insects" will allow bees, bumblebees, butterflies, ladybugs and many other useful insects that live in gardens and countryside, to find a refuge beside us. Let’s have a day between nature and culture, in collaboration with the cooperatives Madera Bike and Gaia, where you can build your own bug mansion, that you will take with you and place on the balcony or garden. So, with the first warm days of spring, they will be ready to cheer again our garden and provide their basic support for biological control and in pollination. Reservation is required. The activity will start at 10:00 am; the term of activities is scheduled for 12:30 am. The participation fee is € 5. For children younger than 6, participation is free. Discounts for families and small groups. For more information and reservations please call 392 2525812. To reach the former station you must, by S.S. 16, take the exit "Montalbano" - SP10 and follow the directions to "Casa del Parco – Ex stazione ferroviaria di Fontevecchia" (GPS coordinates: 40 ° 46´52.23N 17 ° 30´57.26 E). A fantastic journey in the Mediterranean Sea. The event is organized in collaboration with the cooperative “Serapia”. The performance adheres to international cross-border project IPA Adriatico Net-Cet (Cetacean Network) aimed at the protection and conservation of sea turtles, cetaceans and biodiversity of the Adriatic Sea from the main human threats: intensive fishing (bottom trawls and longline fishing), bycacht, abandonment of waste and sewage spills, coastal erosion, coast concreting and beache disfigurement, destruction of sea turtles nesting sites, collisions between vessels and cetaceans. An idea by Giuseppe De Matteis. Scenic writing by Vito Latorre, Francesco Lamacchia and Antonio Repole. Performed by David De Marco, Francesco Lamacchia, Vito Latorre, Silvana Pignataro, Antonio Repole. Directed by Vito Latorre. Masks, costumes and set design by David Sciascia. 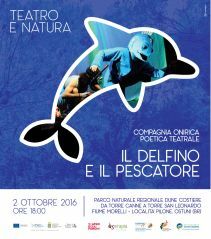 The show was produced by Onirica Teatro in collaboration with the Environmental Education Cooperative WWF Seges, Vernole (LE). The diver named Giuseppe, in search of the dolphin Simone, dives in the waters of the Mediterranean Sea. Here he’ll meet the funny inhabitants of the sea: the athletic Bluefin tuna Rocky, the eternal traveler, turtle Caretta, the pregnant Seahorse Hippo and the hungry but elegant Starfish Asteroidea, the attractive and sensual jellyfish Narba, the eccentric dr. Pine Posidonia and finally the extravagant singer of the sea, Simone the dolphin. In this fantastic journey, with exciting stories between myth and science, funny and music, Giuseppe will become aware of the harmful effects of the anthropization of marine habitat and of coastal ecosystems of the Mediterranean Sea. The show is recommended for 4 y.o. and up children, but suitable for all ages. The ticket price is 8 Euros. Reservations is required: by telephone at the numbers: 3497291060/3286474719; by mail at: info@teatrodelleforche.com; www.cooperativaserapia.it on site.